We start off the month with a stellium of planets in Pisces………..the Sun, Mercury, Venus, Mars, Chiron and Neptune. That’s a lot of Pisces energy! It’s a perfect time to use your powers of visualization to meditate on what you desire to create next in your life. Remember, we create our own reality and with all these planets in the sign of Pisces it is assisting us with what it is we wish to create! Pisces is the energy of Spirit, the Divine, God/Goddess energy. It is very non-tangible, non-material and hard to define. It is about fantasy and imagination but our subconscious mind does not know the difference between what we perceive as real and what we perceive as imagined. The first step to creation is to visualize what you desire to create, which is why this is an excellent time to draw that mental/spiritual picture in your mind and live as if it is already a reality. Then, after mid-March when some of those planets……….Sun, Venus and Mars………..move into the sign of Aries the manifestation and materialization process can begin. Aries is the first sign of the zodiac and so it is about new beginnings. This is when spring arrives and the Earth mother comes out of her dormancy and starts to give birth to all of nature. This will be the time when what it is that you desire to create will start to be birthed and take form. We also continue to experience Mercury in its retrograde cycle……..a time to re-evaluate, review, reflect, reorganize, and redo………again, the perfect energy for restructuring your visions and creating your desires in their most perfect form. Mercury turns to direct motion on March 17th (Happy St. Patrick’s Day!) but won’t pick up speed and be out of its shadow until the first week of April. So, you should still be aware of making sure that communications are clear and going over fine print and paying attention to details when signing contracts or papers. We also have a special planetary energy going on this month of March (it actually began last month) called the Finger of God. I know this sounds rather interesting but suffice it to say that there are strong transformative energies at play! The planets involved in this pattern are Pluto, the Great Transformer……….Saturn, the Great Teacher………..and, last but not least, Jupiter, the Great Benefic. Pluto is our powerhouse planet, dealing out energies of transformation and transmutation…………in other words, BIG CHANGES! Saturn is the planet that deals with karmic and past life energies and learning lessons. And then, the focal planet is Jupiter……….the planet of growth and expansion. All of this powerful, karmic, purging, re-directive energy is flowing out Jupiter which means that great things are happening but sometimes it is precipitated by some challenging situations and circumstances as we do not always know what the end result or final conclusion of energies will be and we can only see the present moment of experience…………….which is where we need to be anyway. 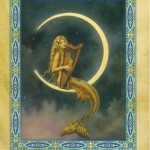 We have a New Moon in Pisces on March 11th with all of that Piscean energy we talked about earlier, still in play. This would be a special day to put out those intentions and visualizations of what you desire to create! The very next day, March 12th, Mars is the first planet that will move into Aries gearing up to bring those changes into manifestation. We then have a Full Moon in Libra on March 27th. The Sun will be conjunct Venus, Uranus and Mars in Aries opposite the Moon in Libra so look for interesting developments in relationships at this time and for the few days leading up to this lunation. Desires and passions are strong and developments could be unexpected and out of the blue………….an exciting time for sure! When I asked the Angels for guidance for everyone for this month of March they told me they had messages for the first half of March and messages for the second half of March. It’s not usual that this is the case but we are in a special energy of transition this month, shifting from Pisces (the last sign of the zodiac) energy the first half of the month into Aries (the first sign of the zodiac) energy the second half of the month. 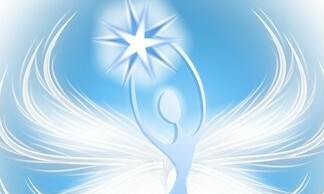 The first half of the month, the Angels say to be patient and allowing of information to flow to you. It is not yet a time of action but a time of contemplation, learning and letting things slowly take form. They speak of doing positive affirmations and visualizations in preparation for the manifestation process. The Angels also want you to protect and cleanse yourself spiritually on a daily basis as we experience the Piscean energy the first half of the month, which makes us very susceptible to outside influences from other people or the environment around us. And lastly, to have confidence in what you desire to create and manifest because the new birth of energies and the new beginnings are right around the corner, so to speak. 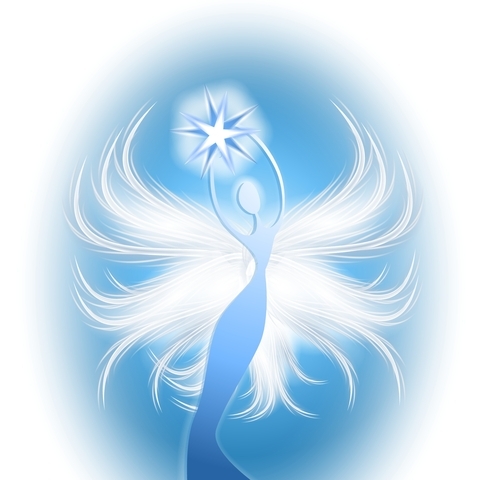 The Angels want to remind you that you are all Lightworkers…….Divine Sparks of God/Goddess here with special gifts, talents and abilities…..That you are here to shine your Light and be Co-Creators with the One Universal Source God. And, as such, your Destiny Path and manifestations of Positive Love and Light energy are all needed at this time! They say that the power of joy, fun, laughter and spending time with friends, doing things that you love will help to speed up the manifestation process of your desires. Focus upon your Divine Spirit, feel the spark of Life well up within you and Create! Create! Create! Colleen is an incredibly accurate intuitive astrologer with well over 10 years of experience, and she is now offering her services here through Angel Messenger. Readings with Colleen are a combination of Intuitive Astrology, Numerology & Tarot. Telephone appointments with Colleen are currently available within the U.S. only, though she does offer email readings worldwide. Read here for more about Colleen.